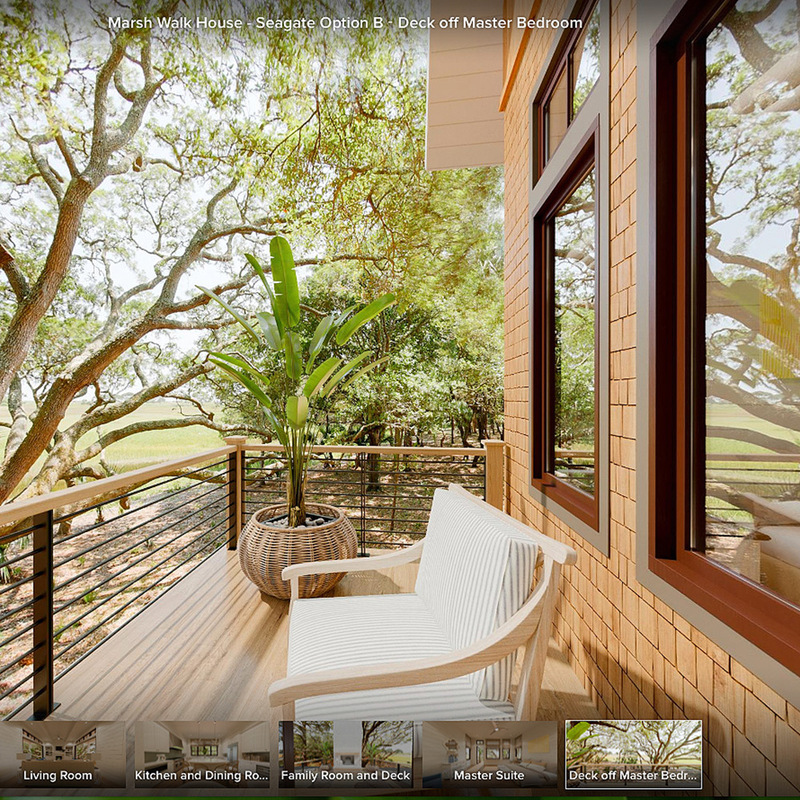 Kiawah Partners, the developer of gated luxury community Kiawah Island, was creating a new neighborhood separated from the world-renowned Ocean Course, home of multiple PGA championships, only by a tidal marsh. 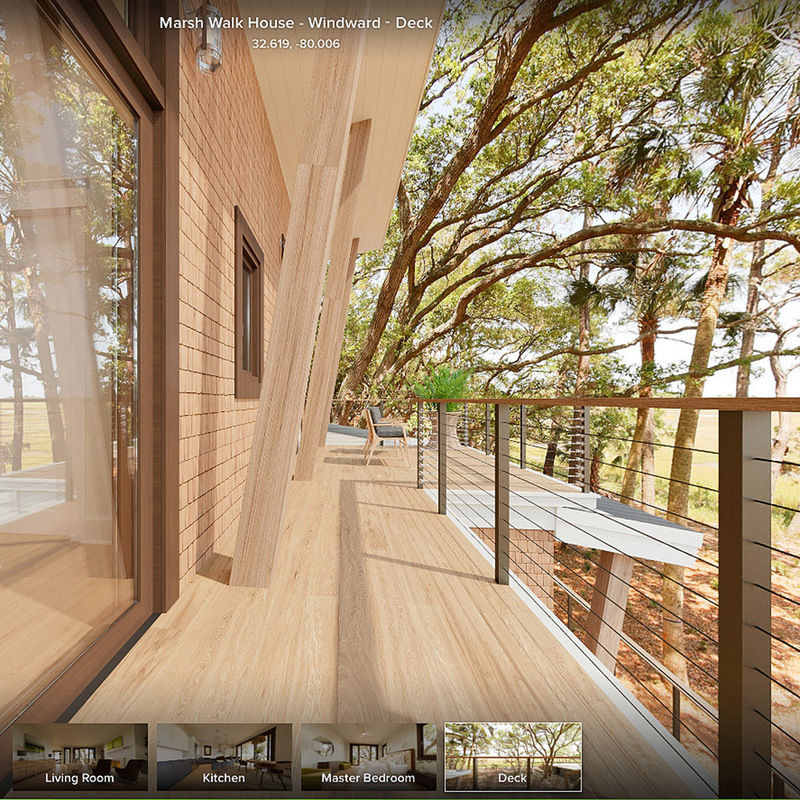 Located on the eastern tip of an Atlantic Ocean island community that has won global accolades for its preservation of nature, the new Marsh Walk neighborhood would feature open, modern homes designed by esteemed local architects to live in harmony with the natural setting. 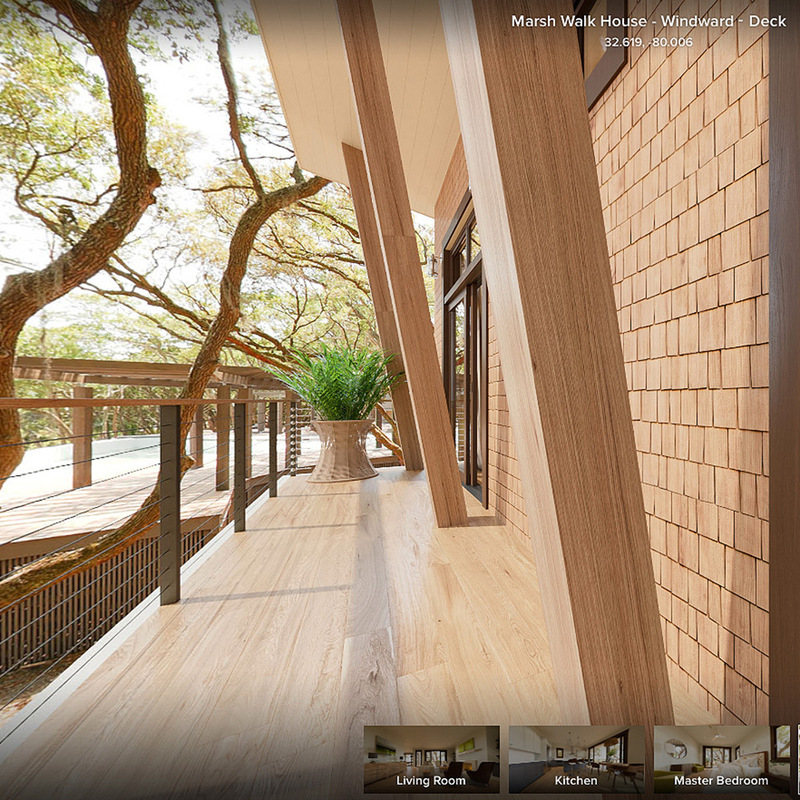 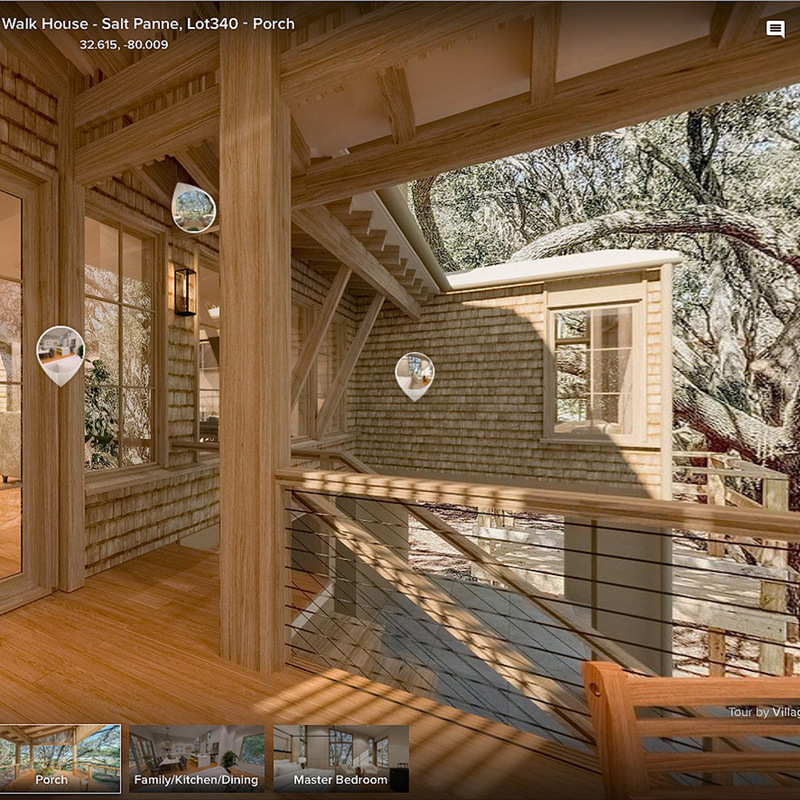 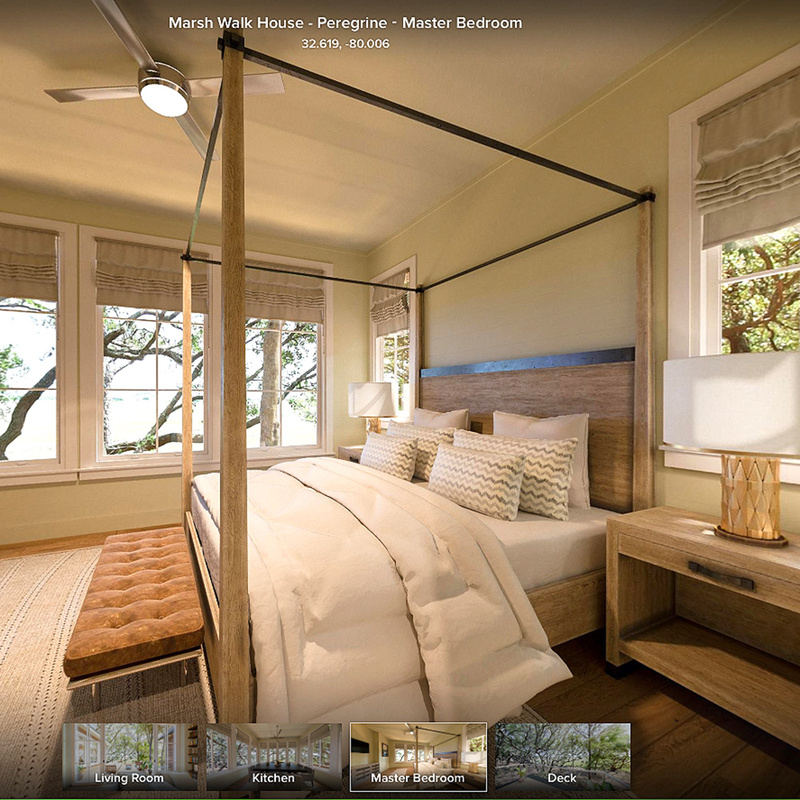 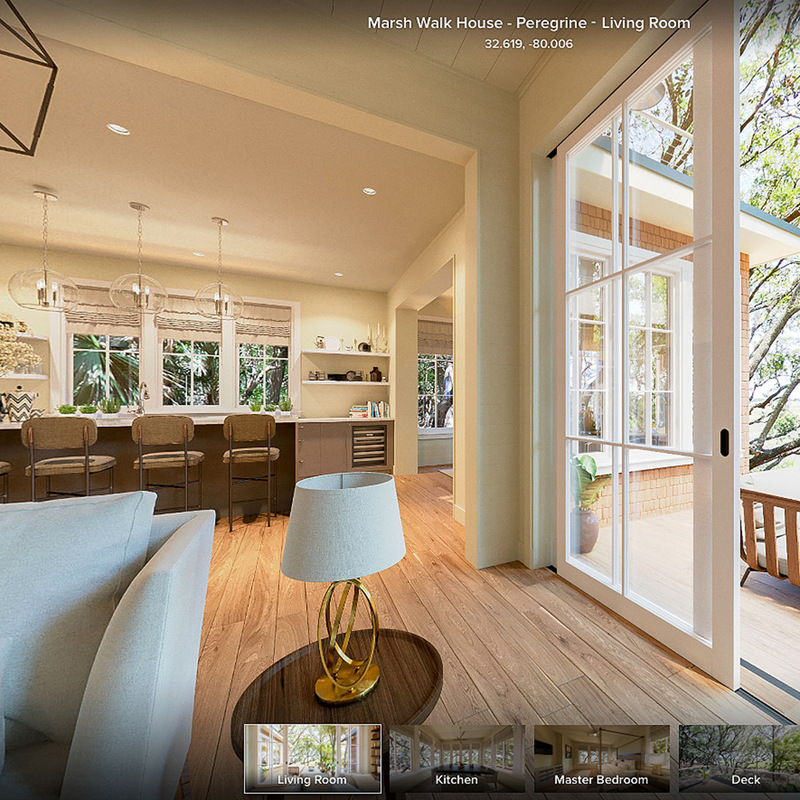 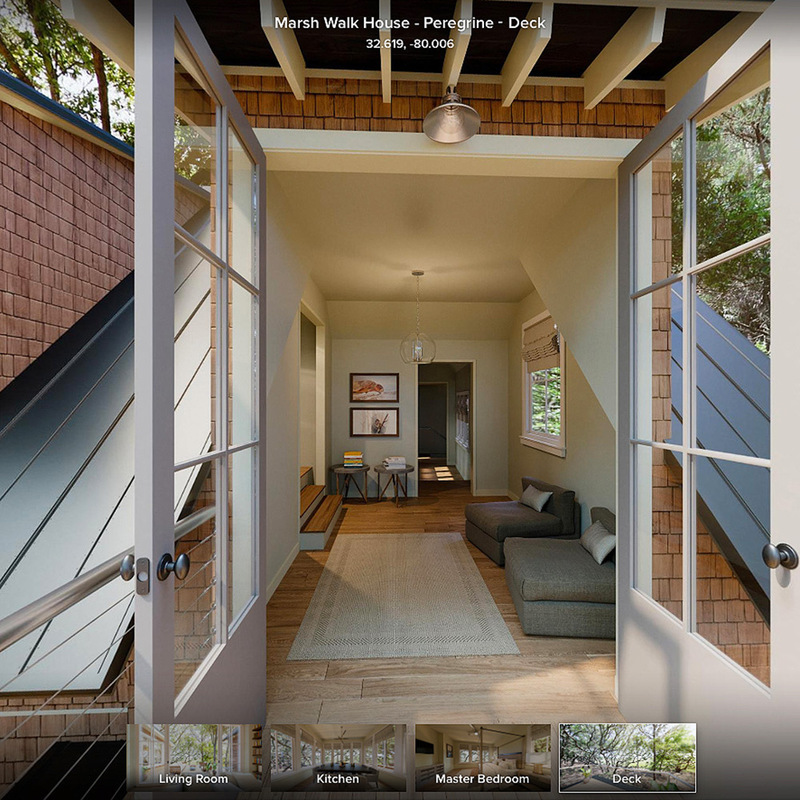 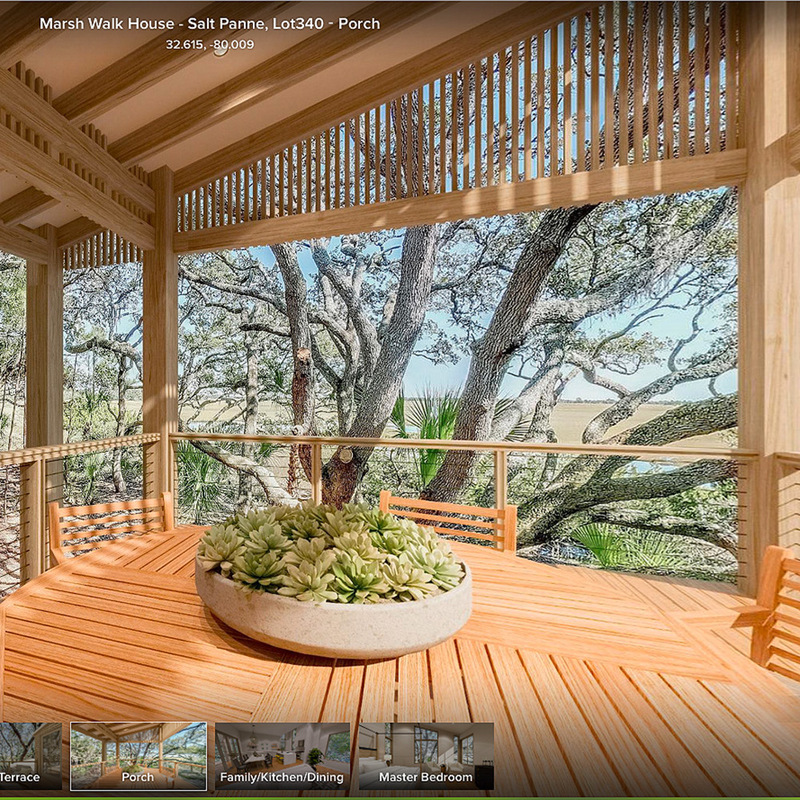 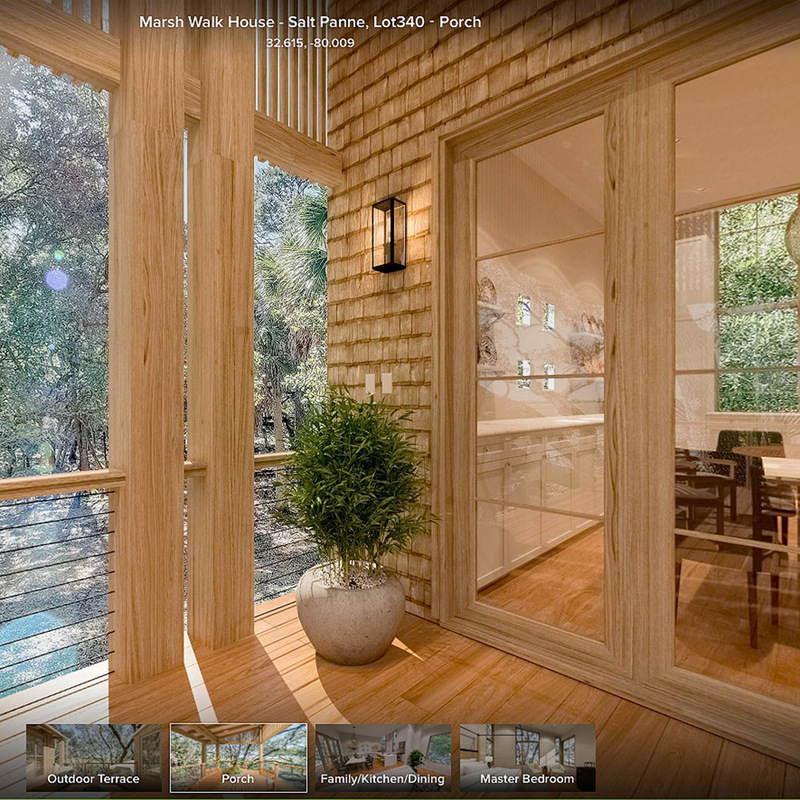 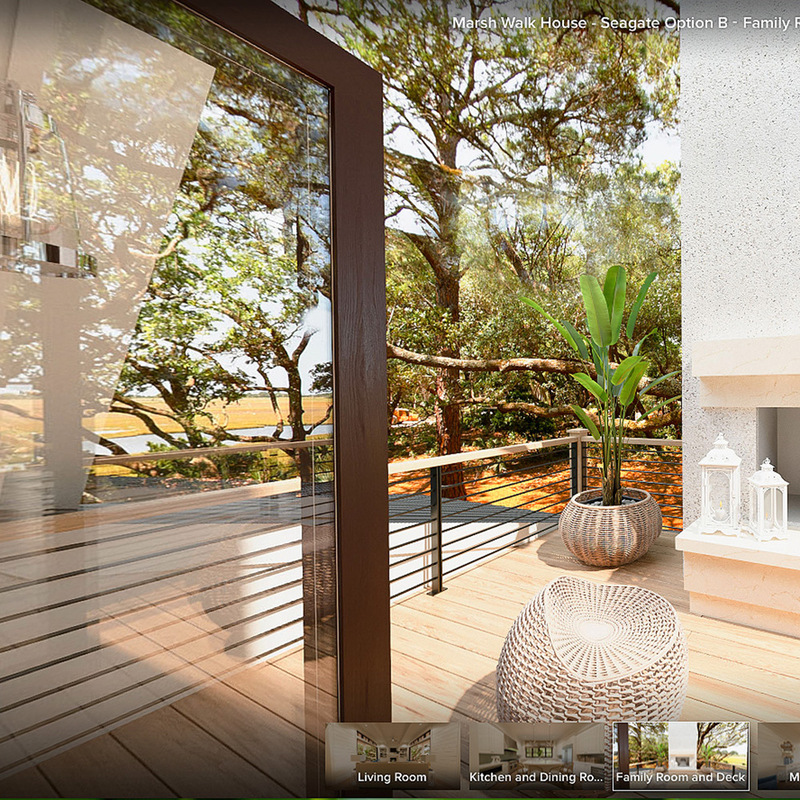 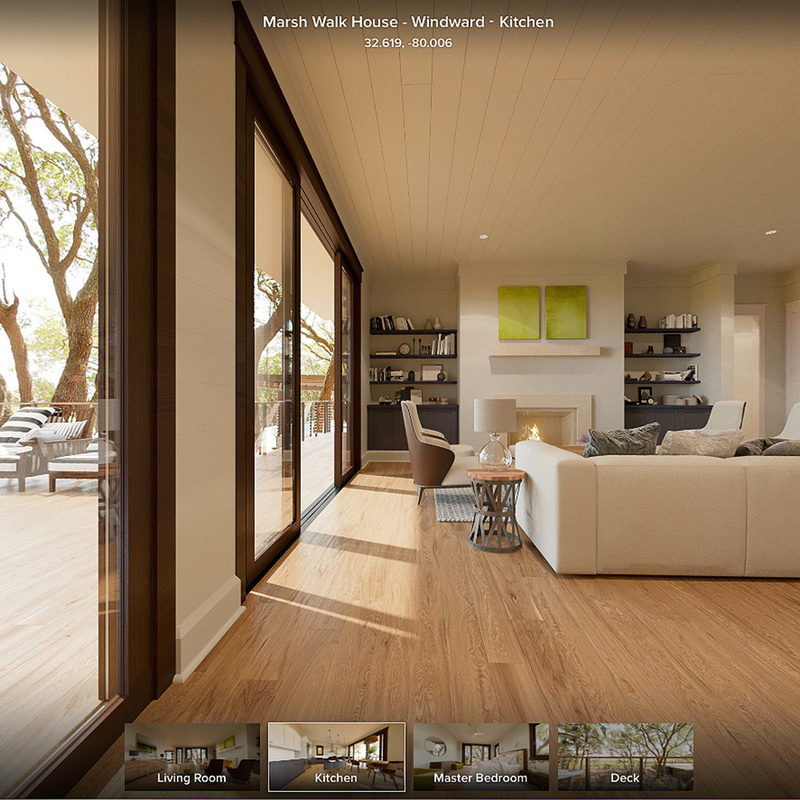 Kiawah Partners engaged us to create virtual reality tours of the four home plans.